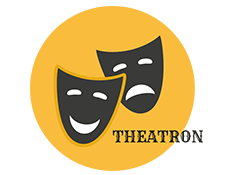 Theatron provides students with a passion towards drama and acting a platform to showcase their talents. Theatron is a means of developing empathy, promoting academic growth and empowering the students through self-expression. We believe in the ability of children to absorb, comprehend and to delight in the classic works of literature and to experience on a personal level how universal themes are explored in great literature.